The long awaited and anticipated selections of wine guru and personality, April Cullom, were recently unveiled to me in New York City. 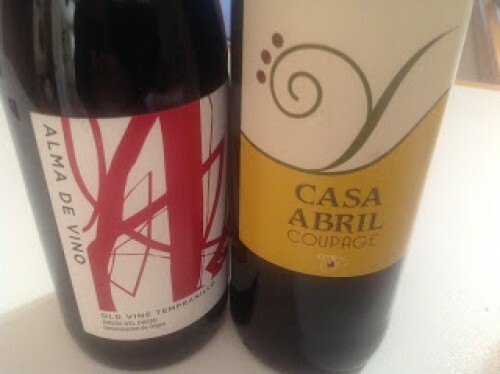 Known for her exceptional palate and positive personality, Ms. Cullom displayed the beginning of her (future) wine empire, with the emergence of the 2013 Casa Abril Coupage and the powerhouse, old vine tempranillo, 2011 Alma De Vino. After sampling the old vine Tempranillo (80-100+ year old vines) 2011 Alma de Vino, I knew April was onto something extremely special. Yes, the vines are old. Yes, the vineyard is located in the northeast corner of Ribero del Duero. Yes, the altitude exceeds 3,000 feet. And Yes, the grapes are harvested from the best plots. "All of this adds up to an exceptional wine, especially the 2011 vintage", according to winemaker Cesar Munoz. By choosing specific parcels of grapes, the wine, Alma De Vino, will express to the consumer how special this terroir is "I am extremely proud of the 2011 vintage". April Cullom's mantra is that 'Alma' is more like joined 'souls' of April's aunt and uncle, which is used as her inspiration along with the 'soul' of the vines. April's aunt, Adrienne Cullom, met her future husband, the labels artist, while on art school scholarship in Paris. The vibrant artwork on the label was created by April's uncle, Sergio Gonzalez Tornero, whose family is originally from Najera (Lograno, Spain). The connection between the label and Casa Abril's wine is 'Soul' (Alma in Spanish), expressing the 'soul' of the wine, place and people who are full of passion. Many people buy wine by the look of the label. This avant-garde label does speak to the consumer. It speaks of style, boldness, structure and elegance, much like the wine itself. Speaking of the wine, I found soft tannins as the wine explodes slowly and gracefully on your palate. As the Tempranillo grapes open up, acidity and minerality take over your senses. Twenty four (24) months in new (25%) and used (75%) French oak barrels pay off. Priced at $38, Alma de Vino is a true bargain. There is no doubt in my mind that when a wine is named after you, as in the case of Casa Abril (the house of April), chances are that a lot of patience, time and love went into each bottle. Aged in French and American oak barrels for five months, 50% new and 50% used, this blend of 40% Tempranillo, 40% Syrah and 20% Cabernet Sauvignon introduces you to La Mancha. Families talk about how long they have been on their land. In this case, the vineyard has been in operation since the 17th century. Presently it is run by the Barreda family, along with winemaker Marc Gomez. The 30 year old Tempranillo vines are perched at 3,200 feet, while the 15 year old Syrah and Cabernet Sauvignon vines are 400 feet below. All of the vines thrive on harsh winters and Death Valley summers. In the summer, with hot days and cool nights, known as a Continental climate, the tannins soften, the concentrated fruit balances, while the acidity is retained in the grape. 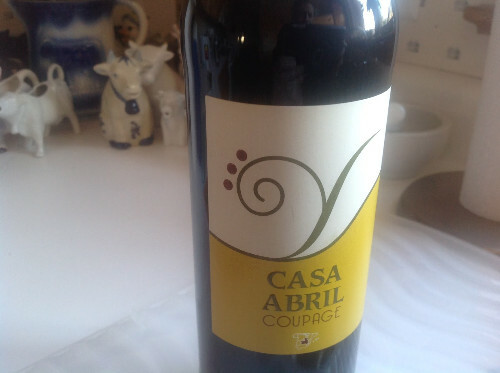 La Mancha has the perfect terroir for Casa Abril Coupage, a wine that shines with food. Like Chianti, the pizza wine, Casa Abril is the perfect, medium-bodied tapas wine. For $13, you can't find anything better. Both wines are available at Social Wines Boston and at Acker Merrill, K&amp;D Wines and New York Vintage in Manhattan. Both the Chicago and the Florida markets will carry the wines in due time. If you are not in Boston or New York area and want to sample the wines, why not call one of the wine shops and see if they can send the bottles to you.